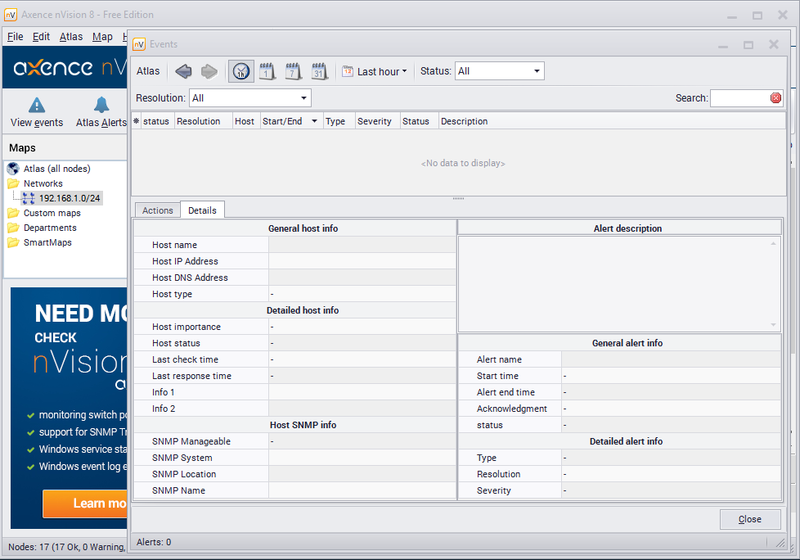 "All your network monitoring tools conveniently combined in one program." 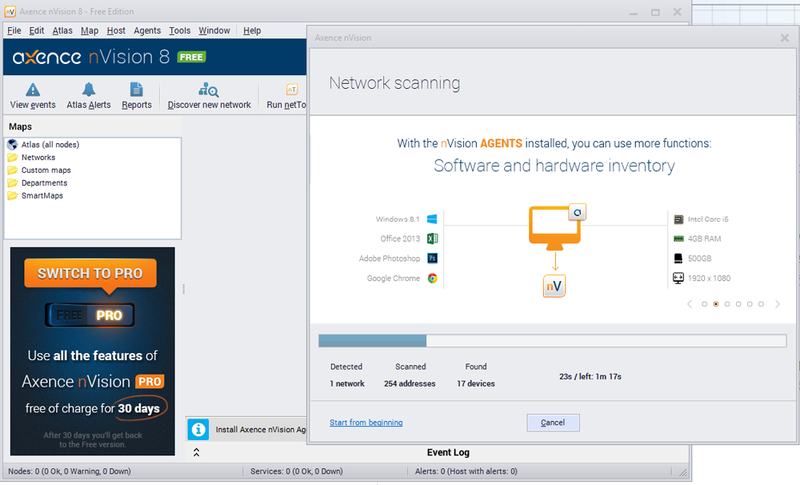 Axence Nvision is free program you can download which is very useful for monitoring your network performance and features some very useful tools. It has an inbound and outbound connection monitor and port scanner. You can use it to monitor the activity on your network and also to monitor your bandwidth, it can be used for many used to discover hardware information. For a system administrator this is an excellent program to have as although the features separately you may be able to find elsewhere with some even being available in Windows itself it is very handy to have all the features needed to monitor your network packed in to one application. You can get reports on the web activity on your network although admittedly I found some of the features were not fully functional but I was using the free version, which is another benefit it is a free download however if you want to use all of its features you would have to upgrade to the paid version. It’s a very convenient application that would surely make the life easier of any system administrator. However it perhaps does not do the jobs as thoroughly as doing each action through separate programs but it does make life a lot easier having all these tools in one place. It has a very simple and straight forward installation process and you should be up and running a couple of minutes after the download has started which coincidentally you can download Axence Nvision directly from here.